Below you fill find all funeral homes and cemeteries in or near Brownsville. Suburbs of Brownsville: Acacia Lake, Boca Chica, Bville, El Jardin, Keller Corner, Kennedy Shores, Palm Village, Palo Alto Battlefield Nation, Portway Acres, Villa Cavazos, Villa Nueva. 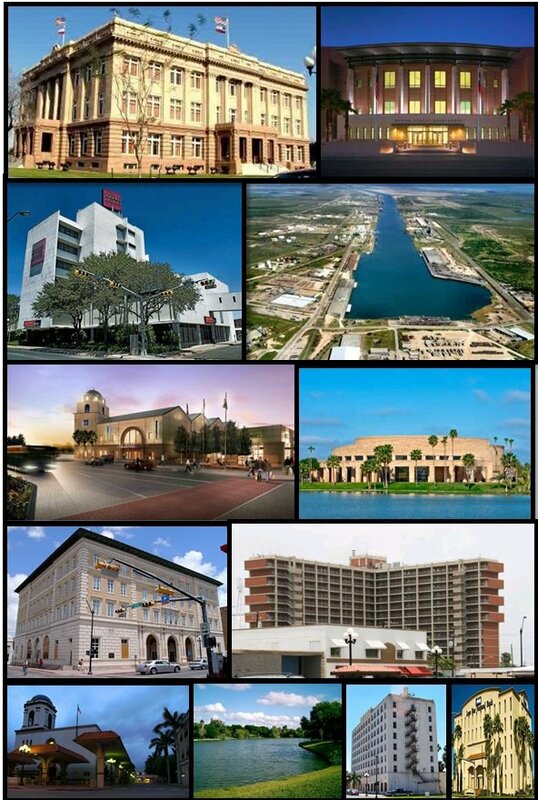 Brownsville is also known as: Cameron County / Brownsville city. Their current mayor is Mayor Commissioner District 1: Ricardo Longoria, Jr..
Zip codes in the city: 78520, 78521, 78522, 78523, 78526. Some of the notable people born here have been: Eddie Lucio III (attorneys in the united states), Juan Arambula (politician and civil service), , Efren Saldivar (physician), Tony Garza (lawyer and politician), Sam Mills (writer), Sunshine Deia Tutt (model and actor), and Ana Laura (singer). 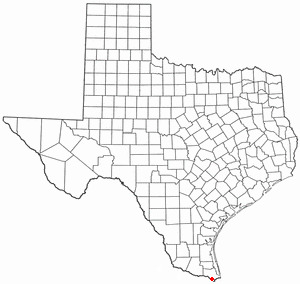 Brownsville is the sixteenth most populous city in the state of Texas, with a population at the 2010 census of 175,023 and an estimated population in 2014 of 183,046. It is located at the southernmost tip of Texas, on the northern bank of the Rio Grande, directly north and across the border from Matamoros, Tamaulipas, Mexico. The 2014 U.S. Census Bureau estimate placed the Brownsville-Harlingen metropolitan area population at 420,392, making it the ninth most populous metropolitan area in the state of Texas. In addition, the international Matamoros–Brownsville Metropolitan Area was estimated to have a population of 1,136,995. Brownsville has one of the highest poverty rates in the nation, and is frequently cited as having the highest percentage of residents below the federal poverty level out of all cities in the nation.The Brownsville urban area is one of the fastest growing in the United States. The city's population dramatically increased after it experienced a boom in the steel industry during the first decade of the 1900s, when steel output tripled. In recent times, the Port of Brownsville has become a major economic hub for South Texas, where shipments arrive from other parts of the United States, from Mexico, and from around the world. Brownsville's economy is mainly based on its international trade with Mexico through the North American Free Trade Agreement (NAFTA), and is home to one of the fastest growing manufacturing sectors in the nation. 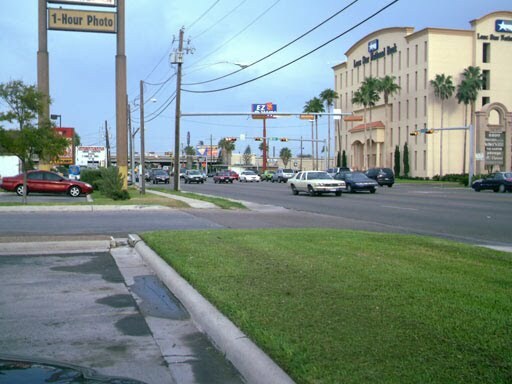 Brownsville has often been recognized as having one of the best pro-business climates in the United States, and the city has also been ranked among the least expensive places to live in the U.S.Brownsville served as a site for several battles and events in the Texas Revolution, the Mexican–American War, and the American Civil War. Right across the U.S–Mexico border lies Matamoros, Tamaulipas, a city with a population of 500,000 people and a major site of the Mexican War of Independence, the Mexican Revolution, and the French Intervention. It was reported on February 13th, 2019 that Kenneth Laverne "Kenny" Johnston perished in Brownsville, Texas. Johnston was 85 years old and was born in Chelsea, IA. Send flowers to express your sorrow and honor Kenneth Laverne "Kenny"'s life. It was disclosed on November 28th, 2018 that William John "Bill" Finke died in Brownsville, Texas. Finke was 90 years old and was born in Milwaukee, WI. Send flowers to express your sorrow and honor William John "Bill"'s life. It was reported by Register Herald on November 23rd, 2018 that Scotty Roy Farr perished in Beckley, West Virginia. Farr was 73 years old and was born in Brownsville, TX. Send flowers to express your sorrow and honor Scotty Roy's life. It was revealed by San Diego Union-Tribune on October 21st, 2018 that James E "Jim" Quill perished in San Marcos, California. Quill was 81 years old and was born in Brownsville, TX. Send flowers to express your sorrow and honor James E "Jim"'s life. It was noted by Fresno Bee on September 2nd, 2018 that Rose Mary Garcia (Guajardo) passed away in Clovis, California. Ms. Garcia was 83 years old and was born in Brownsville, TX. Send flowers to express your sympathy and honor Rose Mary's life. It was disclosed by Kalamazoo Gazette on August 12th, 2018 that Anita Granado (Amador) passed on in Portage, Michigan. Ms. Granado was 88 years old and was born in Brownsville, TX. Send flowers to share your condolences and honor Anita's life. It was reported by South West Times Record on April 15th, 2018 that Richard Burris Smith died in Ft Smith, Arkansas. Smith was 76 years old and was born in Brownsville, TX. Send flowers to express your sympathy and honor Richard Burris's life. It was revealed on April 3rd, 2018 that Irma Pardee (McCune) passed on in Brownsville, Texas. Ms. Pardee was 89 years old and was born in Leavenworth Co, KS. Send flowers to express your sympathy and honor Irma's life. It was noted by Sarasota Herald-Tribune on March 24th, 2018 that Sarah Joyce "Joycie" Young (Friedmann) passed on in Longboat Key, Florida. Ms. Young was 88 years old and was born in Brownsville, TX. Send flowers to express your sympathy and honor Sarah Joyce "Joycie"'s life. It was noted on March 4th, 2018 that Julian M Solis died in Las Vegas, Nevada. Send flowers to share your condolences and honor Julian M's life. If you are planning a funeral or sending funeral flowers finding the funeral services you require can be difficult. iMortuary provides you with listings for the funeral providers in Brownsville. Browse below to locate the funeral homes, cremation providers, cemeteries, and funeral flower arrangers you are looking for. Located on the border between the US and Mexico, Brownsville has a semi-arid climate. The summers are humid and hot and the winters are mild. Even in the "wet season" it is not uncommon for there to be no rainfall for months at a time. The largest accumulation of snow recorded in one day was 1.5 inches in 2004. This was such a rare occurrence that snow from this event was sold online. The official website for the city of Brownsville is https://www.cob.us/. Listing all funeral homes in Brownsville, Texas so you can easily send flowers to any location (same day delivery) or find any funeral service. We work with local florists and flower shops to offer same day delivery. You will find budget sympathy flowers in Brownsville here. Our funeral flowers are cheap in price but not in value.